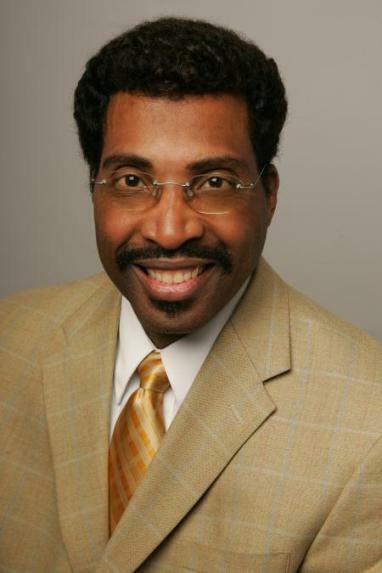 Books2Mention is honored to have Dr. Steven Haymon as our featured author this month. We truly appreciate his willingness to set aside some time from his busy schedule to interview with us. Dr. Steven Haymon is the author of Stress, Climbing Out Of Its Pits With God. This is an amazing must read that depicts stress and its impact from a broad standpoint. Exploring the veil attempts often used as distractions to avoid dealing with the issues that are really eating at our ability to move forward in our lives. B2M proudly presents our exclusive interview with Dr. Haymon. Greetings Dr. Haymon, Welcome to Books2Mention Magazine. B2M: First of all, congratulation on the debut of Stress. What was the motivation behind you writing a book dealing with this particular subject? DR. HAYMON: The book was inspired by God after I had gone through what I call My King Nebuchadnezzar experience; where I lost everything that I thought was important to me including: wife, children, health, finances, cars, and home, etc. B2M: In the book you share some of your personal experiences. Was it hard for you to revisit past situations in order to vividly express to readers how stress can take a hold of your life? DR. HAYMON: Absolutely yes; I needed to revisit those past situations so that I could face them and allow God to help me work through them. The revisiting allowed me to become a more holistically healthy person, and it gave me the opportunity to put in writing how God can truly help all of us who desire to live a more productive and in controlled life. B2M: You have overcome some challenging obstacles in your life. Who has been your source of inspiration? DR. HAYMON: Bishop James A Johnson, an exemplary man of long years, wisdom, integrity, prudence, patience, understanding, kind, caring, knowledge, anointing, and my pastor, for over thirty-years; has been my greatest inspiration. There have been others that have influenced me; but none greater than Jesus Christ, Apostle Paul and Bishop James A. Johnson, Pastor of Bethesda Temple Church. DR. HAYMON: My personal feelings are that writing serves as a catharsis to many, to express intrinsic information with which they are filled. Writing is the platform for writers to express what they have to say. B2M: Who was the very first person you shared your aspirations to become an author with? DR. HAYMON: Although, the question seems simple, for me, it is not, because I remember thirty years ago, at a Substance Abuse Workshop, held by Dr. C. C. Knuckles, I told a friend of mine, "I am going to be doing the same thing." I didn't know then, what I was going to be writing about; but I knew at that time, I would become an author. Relating to my first book, Stress: Climbing Out of Its Pits with God, I told my then, fiance?. B2M: What has been the response of readers who have already had the opportunity to read Stress? DR. HAYMON: Holistically, readers have informed me how the book has ministered to them in different aspects of their lives. I would love to feel good about their comments, but I would be dishonest, if I took credit for how the book affects others, because God used me, to write it. Therefore, how the book is ministering to people, is Him, and Him along. B2M: What was the most striking fact you learned while writing this book? DR. HAYMON: I learned a lot about my insecurities, feelings of failure, fears, need to blame others, how I need to be viewed by others, just to name a few.. and how much I need to mature and grow. I also learned, it is a privilege to be used by God, to minister to other's needs. B2M: What do you do to stay grounded and maintain a sense of balance in your life? DR. HAYMON: Believe it or not, my children and grandchildren keep me grounded. I never want to think of myself, more highly than I should; and my off springs make sure I know who I am; a mere man who needs the presence of God in my life, constantly. I do run everyday, I pump iron, I eat vegetarian, and I abstain from sugars, alcohol, and/or anything that may cause me a chemical imbalance; but most of all, I seek the Word of God constantly. DR. HAYMON: I have been reading a lot of books on narcissism because I believe it impedes maturity and growth. The one I am finishing now, I can't remember who the author is, because I don't have the book with me. However, the Bible is a book, I read everyday, because I believe it helps me to grow into a healthy and well-balanced individual. B2M: What can our readers expect from you in the future? DR. HAYMON: I am almost finished with my next book, The Power of Stress vs. God. Some of the topics covered in this book are: stress as it relates to finances, marriage, parenting, cancer, careers, workplace violence, eating disorders, grieving (death), faith and wisdom, etc. It is my hope that it will be available to readers within a few weeks. B2M: Dr. Haymon we encourage you to continue writing books that promote hope and growth to readers, and we look forward to reading more of your work.